The superintendent of the U.S. 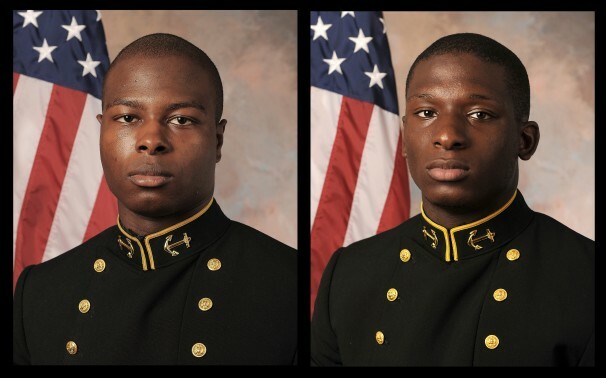 Naval Academy set aside the recommendation of a military judge Thursday and ordered two former Navy football players to face court-martial in the alleged sexual assault of a female midshipman, attorneys for the accused men said. Joshua Tate, 21, of Nashville, will be tried on a charge of aggravated sexual assault, and Eric Graham, 21, of Eight Mile, Ala., will be tried on a charge of abusive sexual contact. Both are also charged with making false statements. This entry was posted in Military Policy, Military Sexual Assault and tagged 2013, Courts Martial, Eric Graham, Josh Tate, Kirsten Gillibrand, Military Sexual Assault, MJIA, Naval Academy, US Navy by Jennifer Norris. Bookmark the permalink.